The Rev. Jackie Pace, a member of McGill, delivers the sermon today with scriptures from Job 42:1-6, 10-17 and Mark 10:46-52. Erin Curie is the deacon of the week. She will read the Old Testament scripture and have the morning prayer. The M & M (Marys and Marthas) are collecting $10 Wal-Mart gift cards. Please leave them in the basket in the library. On November 4 they will meet and do church “mouse” notes. 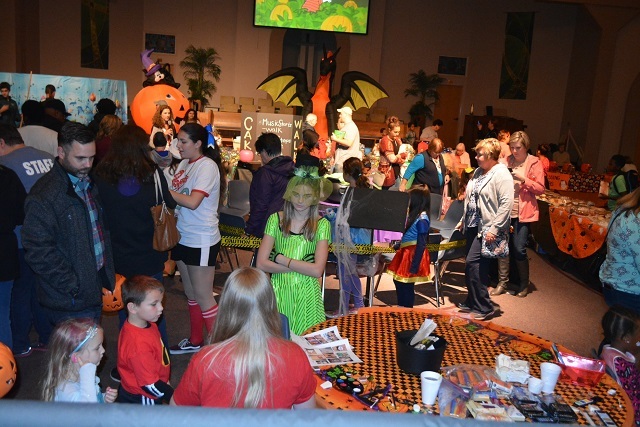 Everyone had a great time at Friday’s Fall Festival at McGill.